Don’t just take our word about our law firm’s commitment to injured victims worldwide. Please read the following testimonials from our esteemed clients. Words like these, help us reaffirm our commitment to representing injured workers under the Defense Base Act. Here are a few testimonials from actual clients of this firm. 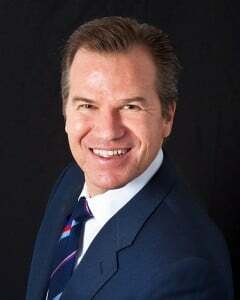 You can read all of them at my www.avvo.com profiles: Clifford Mermell’s profile, and Ms. Rebecca Stillman. 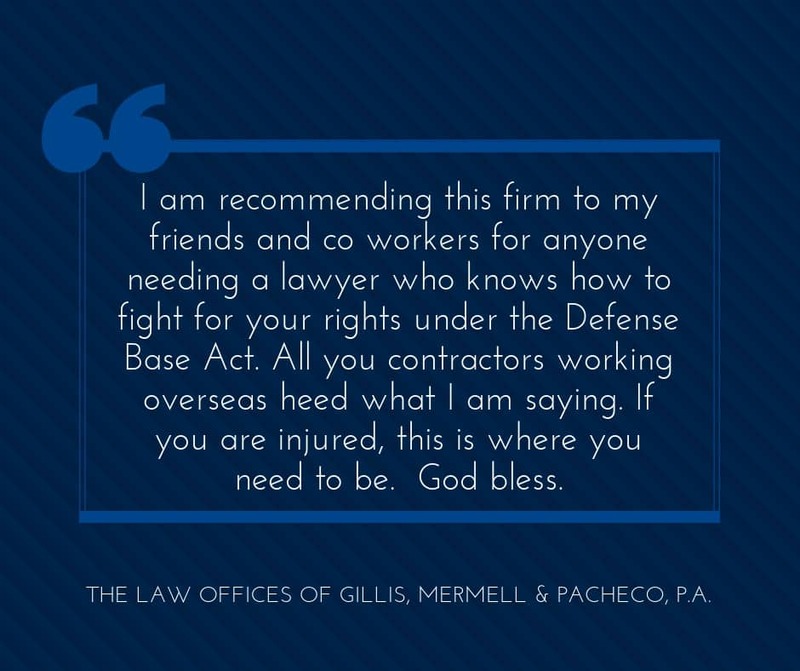 I had the good fortune of being referred to the firm of Gillis, Mermell & Pacheco from a coworker who was injured in Afghanistan at the same base as me. I can say wholeheartedly that this firm is awesome and did me right. The lawyers and staff were gracious and patient with me as I went through some very tough times. I thought that I might have worn them down with how much I called. To the contrary, they always took my calls and treated me with respect. My settlement was much more than I could have hoped for. I am surprised by how well my lawyer did for me. It was much better than he told me from the beginning which was surprising to me. I am recommending this firm to my friends and co workers for anyone needing a lawyer who knows how to fight for your rights under the Defense Base Act. All you contractors working overseas heed what I am saying. If you are injured, this is where you need to be.